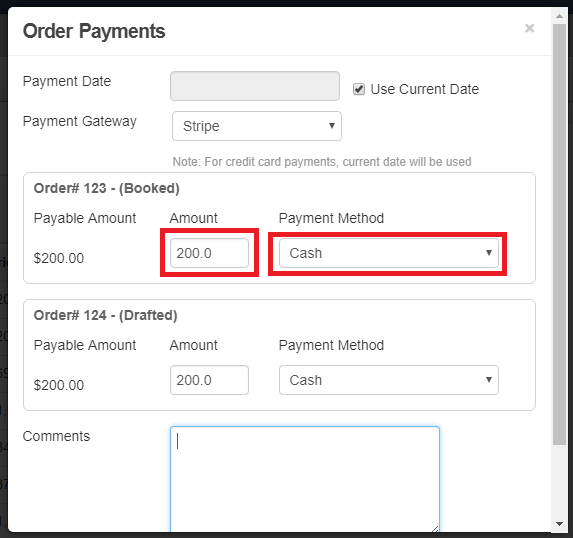 FAQs / How can I charge payment for multiple orders in one go? 3. 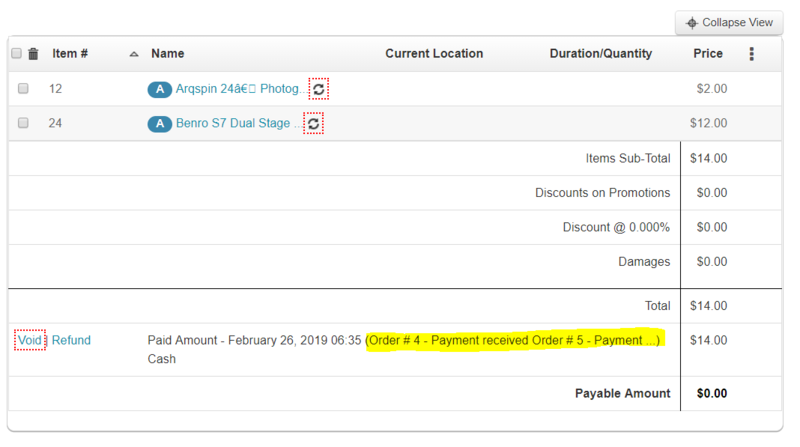 A dialog box will appear for Order Payments (see image below). 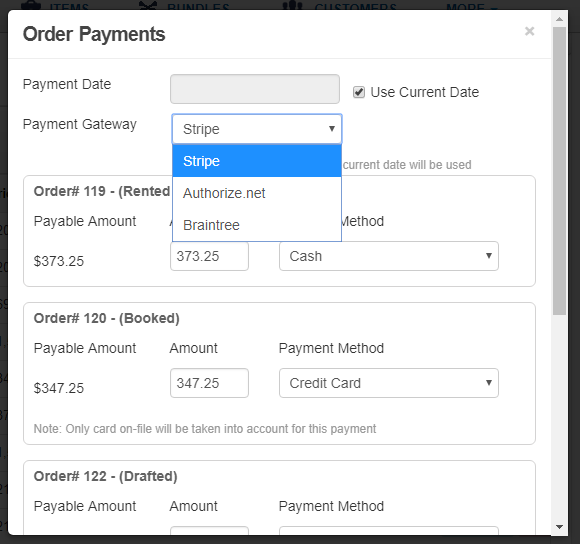 Here you can configure details such as payment date, preferred payment gateway, order payment specifics, and comments. Note: CC payments can only be charged to customers with their cards saved on-file. 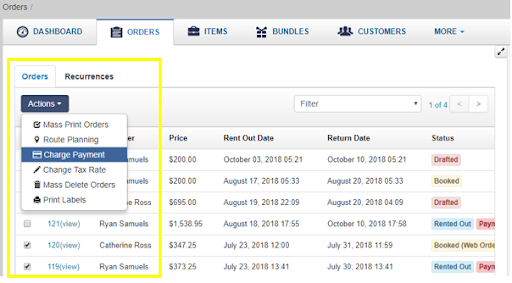 – If you have enabled multiple payment gateways in Settings > Add Ons > Enable Payments through Credit Card, you can choose the one you prefer via a drop-down menu in the Order Payments’ dialog box as illustrated above. – We do not support this feature when charging payments via PayPal and Square. 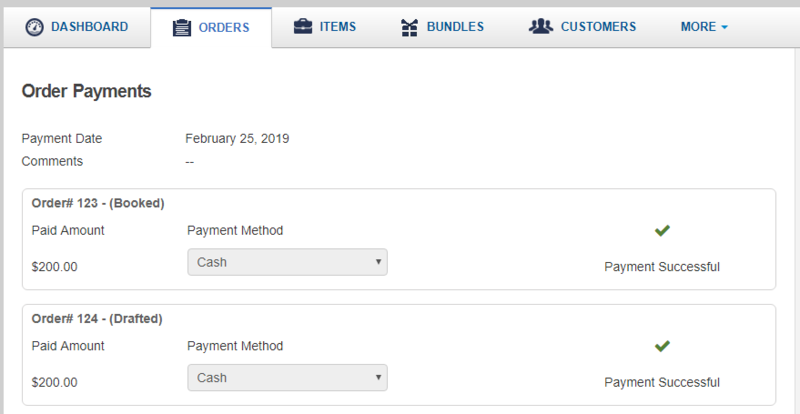 – You can also edit the Payment Amount and Payment Method for the orders individually. – The mass action payment feature allows you to add ‘Comments’ for the selected orders. You can view these comments in pricing table of all the charged orders. Tip: You can mention the Order Number in the comments to make them more specific as shown below.